Few know better than independent grocers how important it is to stay ahead of rapidly-changing consumer demands. In such a fiercely competitive environment, it’s crucial that independent supermarket operators keep up with emerging trends, including ways to build relationships with their shoppers. As the growing number of social media platforms continues to grow, so do consumers time spent browsing each. A recent study by Mediakix released in December 2016 even found that at users spend an average 40 minutes on YouTube, 35 minutes on Facebook, 25 minutes on Snapchat, 15 minutes on Instagram, and one minute on Twitter each day. 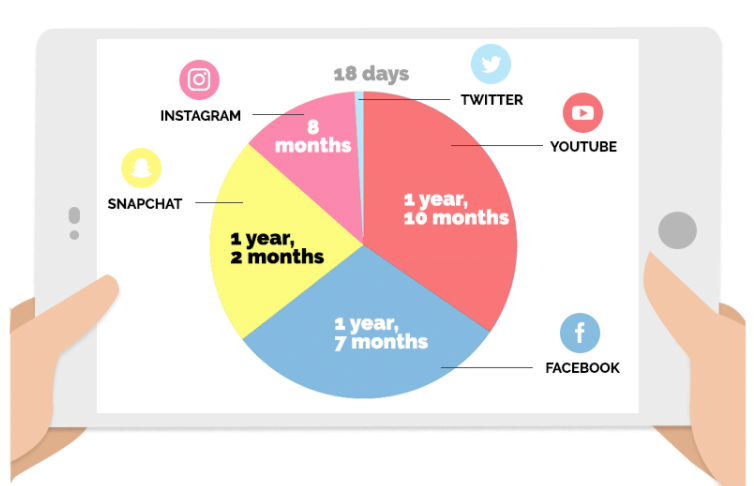 In other words, at today’s average rate, most people will spend five years and four months of their life on social media. This isn’t just the teens, either. Nearly three-quarters of the U.S. population has at least one social media profile. There’s a good reason for grocers to invest in their presence online too. Nearly 50 percent of shoppers are following grocers, second only to restaurants, according to 2015 report by Interactions Marketing. They’re eager to use that connection as well. Approximately 73 percent want to hear about discounts and promotions, 72 percent want to look for new products, 59 percent like to learn about in-store events, and 39 percent want information about new trends. Six-in-10 want supermarkets to share food recipes. Nearly three-quarters of food retailers are making significant or moderate investments – both time and money-wise – in social media outreach, while only one-quarter are doing so at a minimal level. Many independent grocers have had success so far as well, including launching mobile marketing programs, developing personalized promotional campaigns, and incorporating social media into their business strategies. If your company has already implemented a strong social media and digital marketing campaign, consider submitting an entry into NGA’s Creative Choice Awards Contest! The annual Creative Choice Awards contest, sponsored by Kellogg’s and Unilever, honors the best marketing and merchandising programs in the independent supermarket industry. Entry categories include “Connections Through Social Media and Digital Marketing” where the best and brightest e-marketing campaigns that connect with consumers through social media and digital platforms compete for the winning spot. To submit a campaign or learn more about the Creative Choice Awards, visit http://ngacreativechoice.com/. View last year’s Creative Choice winner, Broulim’s video campaign, “Hear from Customers Like You,” by clicking HERE.